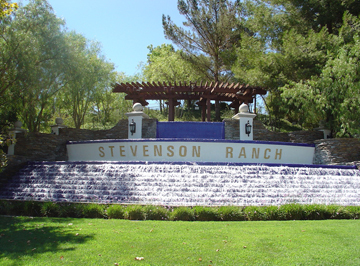 Westridge is a master-planned community located just north of Stevenson Ranch in an unincorporated area of Santa Clarita. The community features rolling hills, massive oak trees and paseos throughout. The housing includes upscale single and multi-family homes. Among the HOA amenities, there are 2 recreation centers, pools, spas, tennis and basketball courts and a special events clubhouse. Westridge is also home to the TPC at Valencia golf course. Residents enjoy the award-winning California Distinguished and National Blue Ribbon Schools of the William S Hart and Newhall School districts. The Valencia Marketplace and Stevenson Ranch Shopping Center are popular shopping areas in the community. Six Flags Magic Mountain, an amusement park, is located about a few miles to the north.